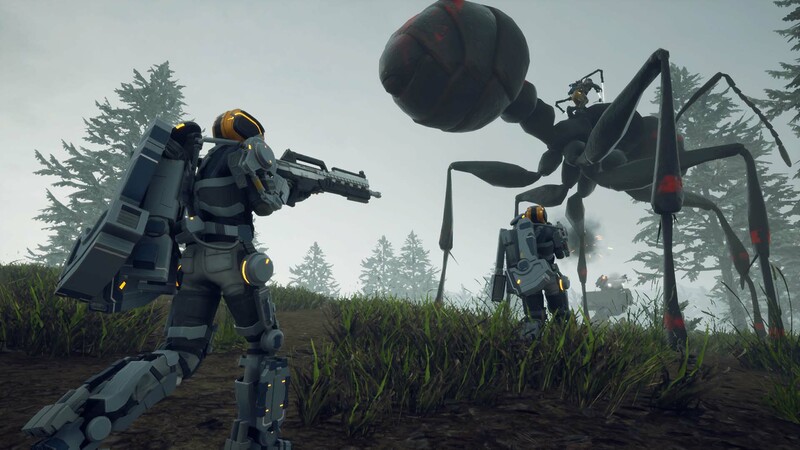 Hearing the sound of heavy footsteps in a desolate battlefield, and walking among dilapidated buildings in an abandoned city, you are a soldier of the titular ‘Earth Defense Force’, and you’ve been tasked with defending humanity against hordes of giant insects and Ravager robots hell bent of eradicating humanity. Taking place in the EDF mythos, but outside of the standard timeline established by earlier entries, Earth Defense Force: Iron Rain is the latest installment of the cult classic franchise first released on the PlayStation 2 back in 2003. The series has since seen more than a few sequels and spin-offs, one of which would be Iron Rain itself. I was originally drawn to the series because it reminded me of one of my favorite movies, Starship Troopers. 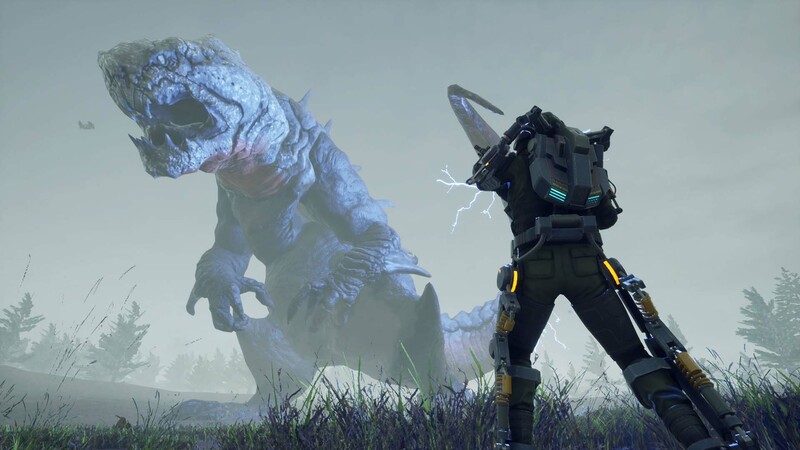 While not exactly the same, taking part in large battles against over-sized insects and huge robots, coupled with a fun character customization mode, is always welcomed. 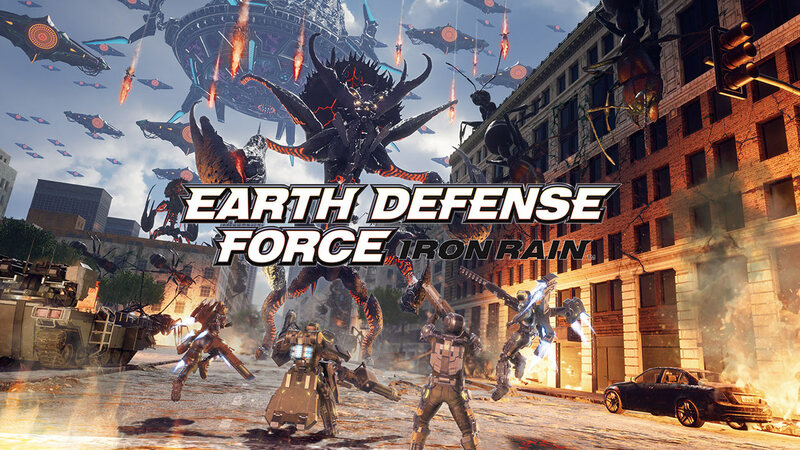 Earth Defense Force: Iron Rain is a special case when it comes to the overall story for the EDF franchise. It’s more of a spin off or alternate telling of the EDF franchise story we’ve seen in previous games. Taking place in 2040, well after the initial games, we are introduced to the PA gear, using energy gem-type power sources for a lot of what the player does in the game, mostly powering laser type weapons and the PA gear itself. The PA gear will be very familiar to fans of the series, as the gear itself is based off the classes that were seen in games like EDF 4 and 5. 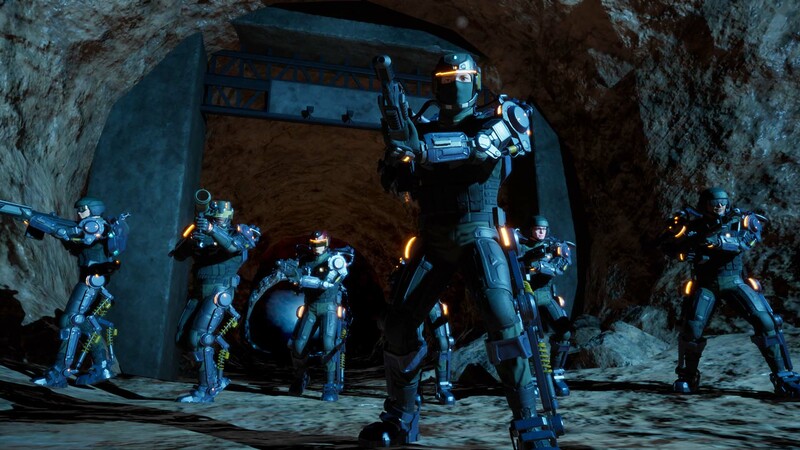 Story wise, the game takes place over dozens of different missions, with most of the narrative coming from reading the mission directives and paying attention to what the different squad members and NPCs say before, during, and after the missions. You will need to pay attention during the missions in order to understand what’s going on and the overall story. I will say that, outside of the opening couple of missions, the story does take a little bit of time to get going. 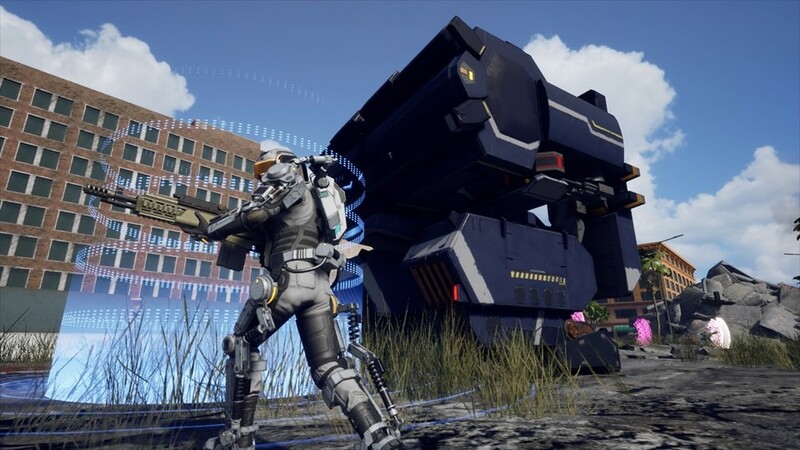 Fans of the series will probably get enjoyment of how different this game is from previous ones, as outside of the familiar classes and enemies, as stated before, this is a different telling of the EDF story. 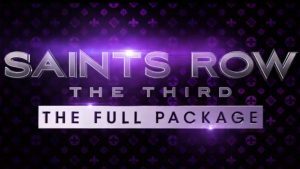 The biggest addition here with Iron Rain is the fact that the player is now able to customize their own character. Gender, face, hair, outfits, PA gear and weapons. No longer are you limited by which combat style you chose for each mission, as you can change out everything (including skin color and gender) before each and every fight. There are a few different body type options available, but with a bit of a difference compared to other character customization modes out there. The female options basically boil down to petite, thicc and thiccest. Seriously, the third option, which I call thiccest, is just the female body with absolutely gigantic breasts and booty… so of course I had to choose that one. Bigger is better after all, and if I’m gonna fight giant monsters, my character may as well have giant assets to bring to the fray. 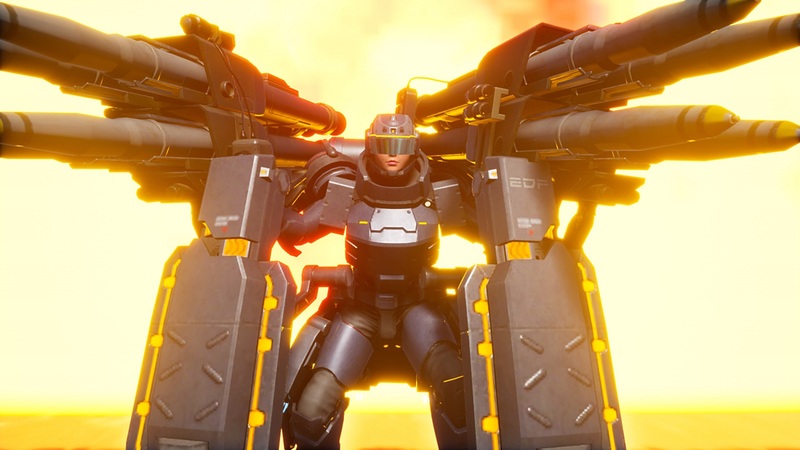 Personally, I got a huge kick out of using the Jet Lifter PA gear with some fast, powerful weapons like the Assault Rifle, Laser Gun or Mini gun coupled with a rocket launcher. There is something incredibly fun with raining burning hell fire on ground-based enemies while you soar the skies. 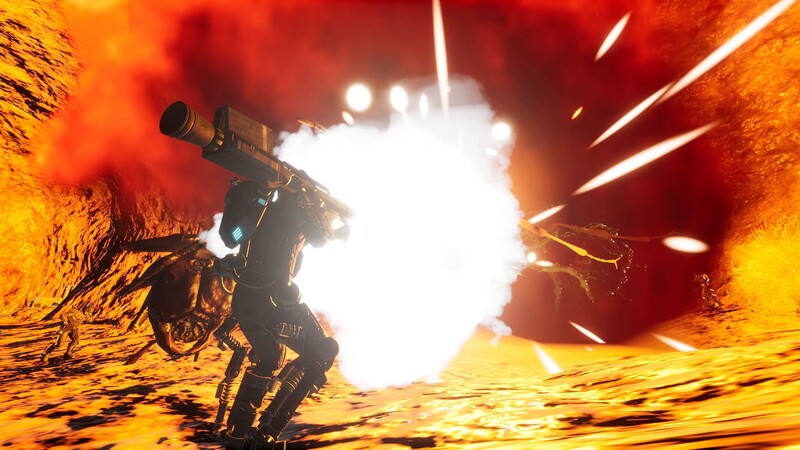 The Heavy Striker was also a lot of fun, being able to shield yourself while using two weapons for each slot, doubling your fire power while having some major defensive boosts. 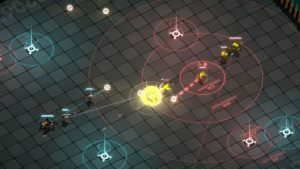 Each of the different PA options available to the player will have differences in terms of defense, item capacity and mobility. Pretty much everything else can be customized and you can increase your HP through purchases between matches. Later on, the different matches become more and more difficult, and I’m not talking simply in terms of natural progression. 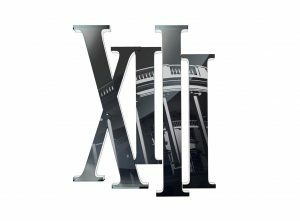 Very quickly you will get in to progressively more difficult missions, with the only option being to actually strategize and use all tools available to you, possibly switching out weapon kits, PA and items/vehicles to best take on any given mission. You can take on each mission the same way with the same load outs, but most likely you’ll have a much harder time than if you customize for each mission. Using one of two different views, both a variation on the third person perspective, the player will be sent in to fairly large mission maps and be tasked with a few different mission objectives, sometimes changing mid-battle, from having to destroy all large enemies to surviving for a certain amount of time to successfully reach a rendezvous site. There’s quite a bit of diversity for each mission to keep them interesting and keep players coming back in order to beat the main game. Players are even able to go online for some multiplayer action, and split screen co-op is also available. As mentioned earlier, players will be able to kit out their character with a wide variety of weapons and items, each purchased between battles. The biggest draw back to all this is not only the cost of the various weapons, items, and vehicles, but also their energy gem cost to create most of the higher powered items. If you don’t choose a few weapon types early on to focus with, you’ll quickly run out of funds and be force to farm up currency to get your next upgrade, especially if you try to purchase everything, including the different character customization options like head gear and upper and lower body accessories. To cap the cost of all this off, each time you use the various items in battle or call down vehicular support, the funds you receive at the end of each mission goes down, as each item and vehicle has its own cost in battle. This means that you will usually try to win each battle using little to no item support, artificially increasing the difficulty of already hard missions. Fortunately, the controls in Iron Rain are fairly tight and responsive. There were more than a few times where I got “stun locked” due to attacks, but it was mostly due to my own fault and not paying attention during missions. Usually it just comes down to learning your preferred PA set up and the weapons that you choose. Graphically, Iron Rain is a much improved step up from from EDF 4.1. There was some obvious graphical twitches here and there, such as textures on weapons and PA not loading immediately or colors disappearing on the larger monsters during frantic missions. If you play as the Jet Lifter and fly up high enough, enemies almost take on a paper doll type look and lose a lot of their details and smaller animations. However, the maps and environments never really took a hit in the graphics department that I could really tell, nor did I notice any sort of major slowdown or FPS drops while playing. 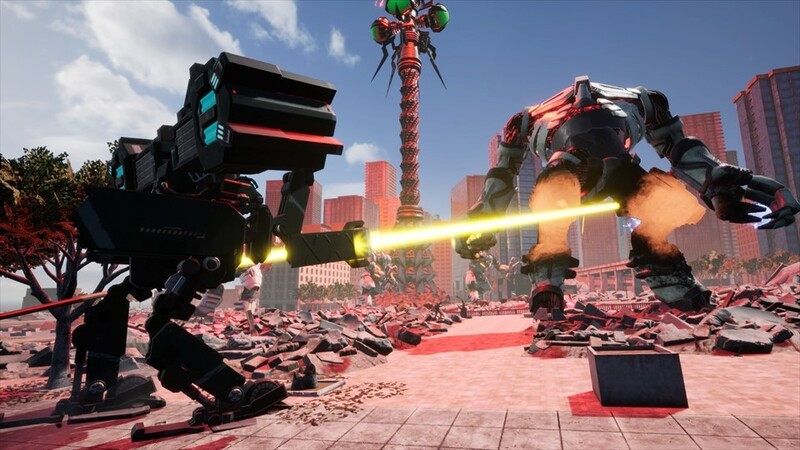 While perhaps not the most technically impressive PS4 title out there, Yuke’s did a very good job of recreating what you would imagine an all out war against giant bugs and robots to be like. Although a relative anomaly for me, I will say that the music and sound track in Iron Rain is also fairly well done. There could have been more in terms of chittering and noises from the insects themselves, but the sound effects of the different weapons, the footfalls of the robots, the PA gear, and the sound of different engines really kinda stood out to me. Plus, there are times where you will be treated to some cool J-rock between missions which I did enjoy. 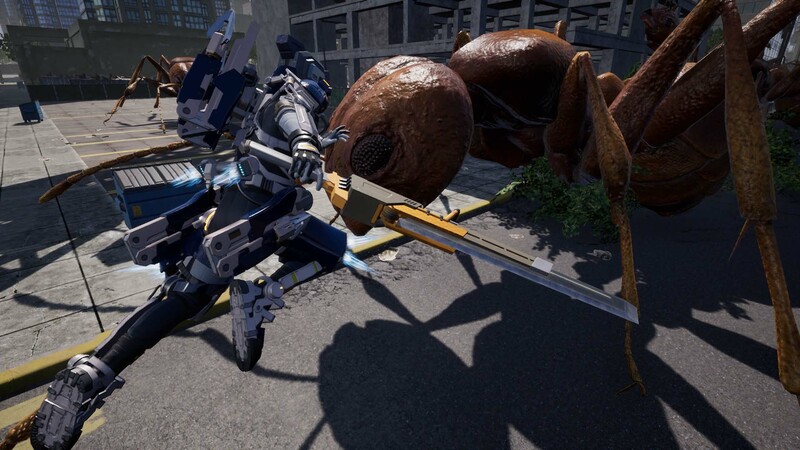 All told, Earth Defense Force: Iron Rain probably isn’t a bad pick up if you’re a big EDF fan, or just really enjoy more action packed third person shooter style games. There are a few flaws, but I really enjoyed most of what I played with this one. 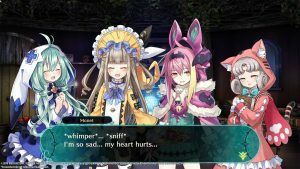 The difficulty ramps up a little too fast to keep up with the available weapons and improvements quite often unfortunately, which is perhaps one of the bigger issues, as well as the cost of the weapons and currency deductions for using items and vehicles in battle. 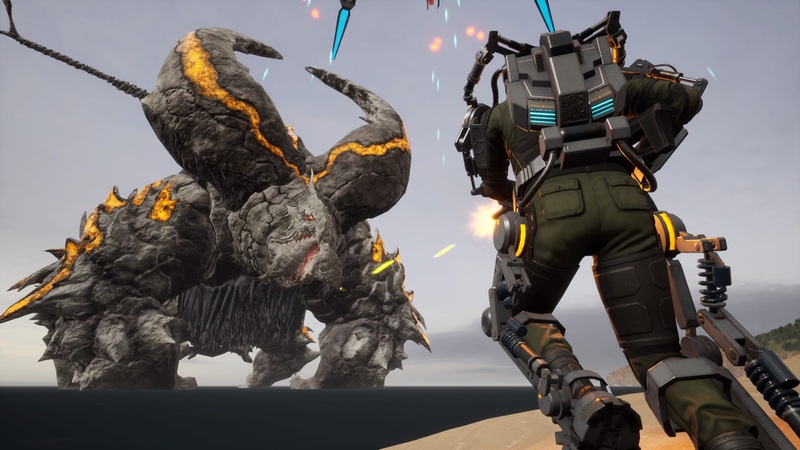 If you’re a big fan of the franchise, or just getting started with EDF, you could do worse than picking up and enjoying Earth Defense Force: Iron Rain. 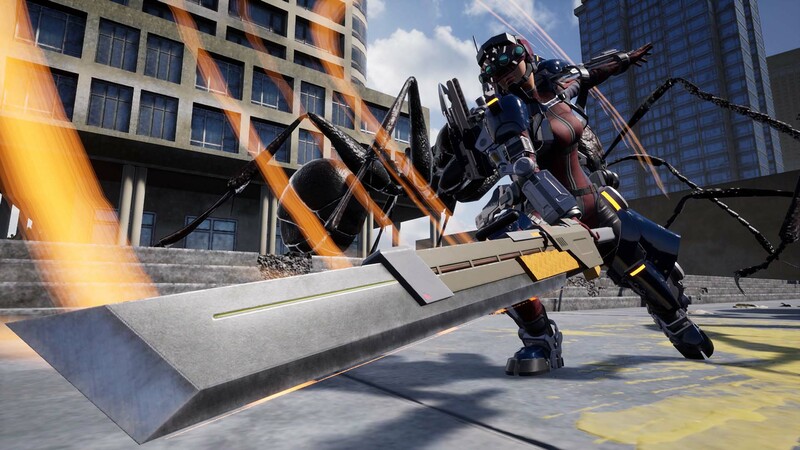 Earth Defense Force: Iron Rain was reviewed on PlayStation 4 Pro using a review copy provided by D3 Publisher. You can find additional information about Niche Gamer’s review/ethics policy here.